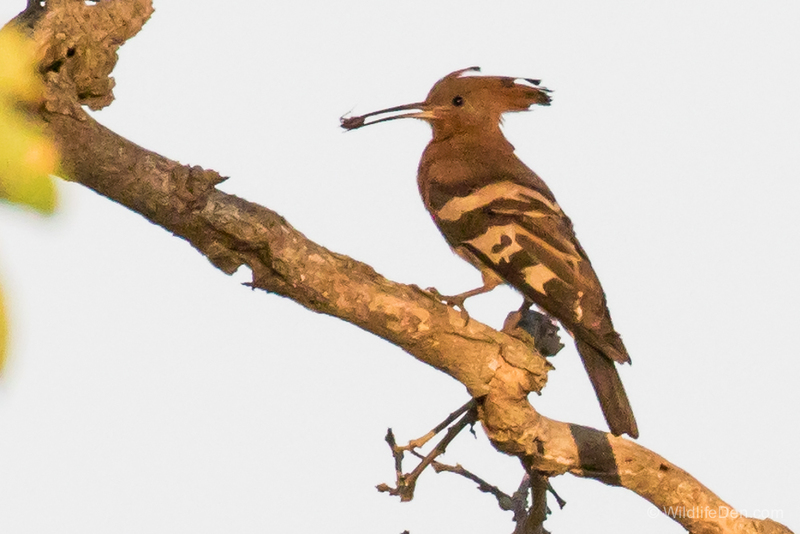 The African Hoopoe (Afrikaans name Hoephoep) is an unmistakeable bird with that long downward curving bill and its bright cinnamon, black and white colouring and that crest which it raises when alarmed. 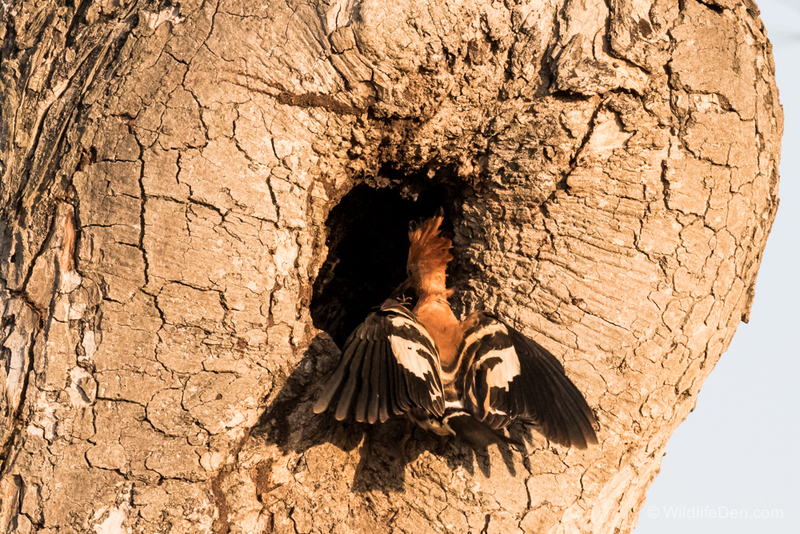 It is a resident throughout Southern Africa, it digs in the ground for food such as grubs, insect larvae, earthworms and small frogs. 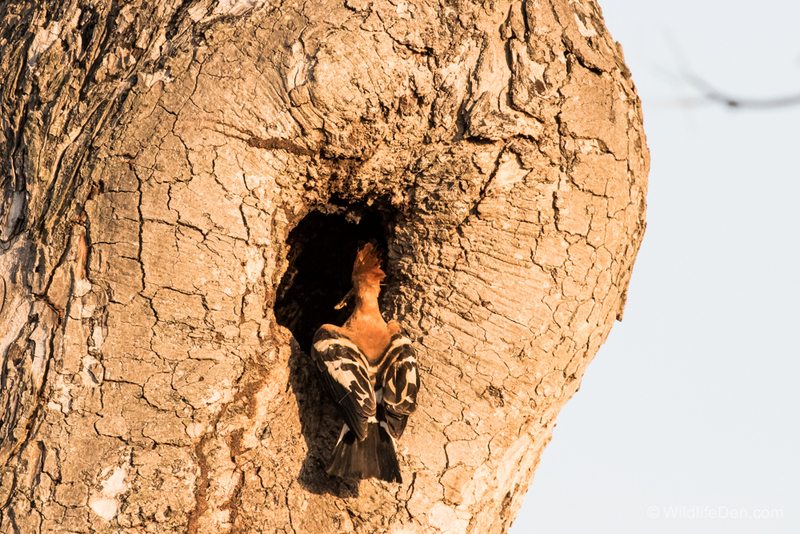 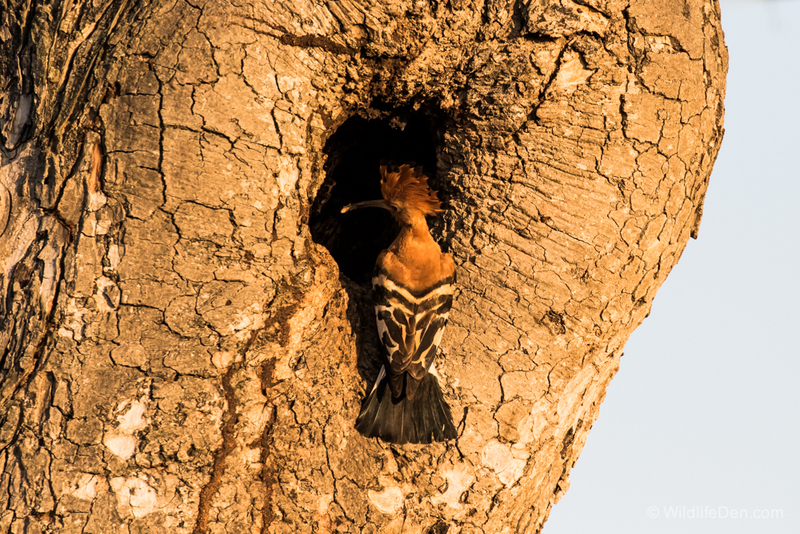 They use a variety of nesting sites such as natural tree cavities, old woodpecker or barbet holes, termite mound chambers and even ceilings of houses.